By Year 5, children should be confident with one- and two-step problems and using addition, subtraction, multiplication and division, and they will be able to decide on the best way of solving a problem. There is still a focus on times tables, as not all children are completely sure of these. Set squares and protractors are being used for work with angles and shapes, and percentages are introduced now. Children will be practising their mental maths, as well as using written and practical methods to help them calculate. It’s also important for the children to see how their maths work links to life outside school, and to other areas of the curriculum. Card games are perfect for playing with numbers. If you’re struggling to remember the games you played as a child, try asking the grandparents! 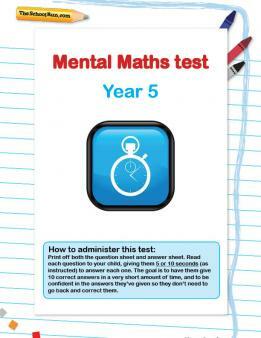 Put your child's learning into practice with our Year 5 maths worksheets, which cover all the topics taught as part of the curriculum, or try our Y5 mental maths mini-test. 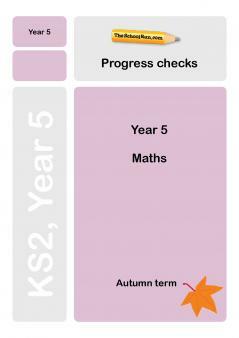 Check your Y5 child's progress in maths with our free Y5 maths Progress checks, three mini-tests for the autumn, spring and summer terms.